Watch our video, then enter for your chance to win $10,000. Plus, play our game and you could win 1 of over 1000 instant prizes! NO PURCHASE NECESSARY. A PURCHASE WILL NOT INCREASE YOUR CHANCES OF WINNING. LEGAL RESIDENTS OF THE 50 UNITED STATES (D.C.) WHO ARE AT LEAST 18 YEARS OLD AND THE AGE OF MAJORITY IN THEIR STATE OF RESIDENCE AT THE TIME OF ENTRY. VOID WHERE PROHIBITED. DATA AND MESSAGE RATES MAY APPLY. Promotion ends 5/31/17. For Official Rules, how to enter without using the Shazam app, prize descriptions and odds disclosure, click here. Sponsor: Johnson & Johnson Consumer Inc., McNeil Consumer Healthcare Division, 7050 Camp Hill Road, Fort Washington, PA 19034. 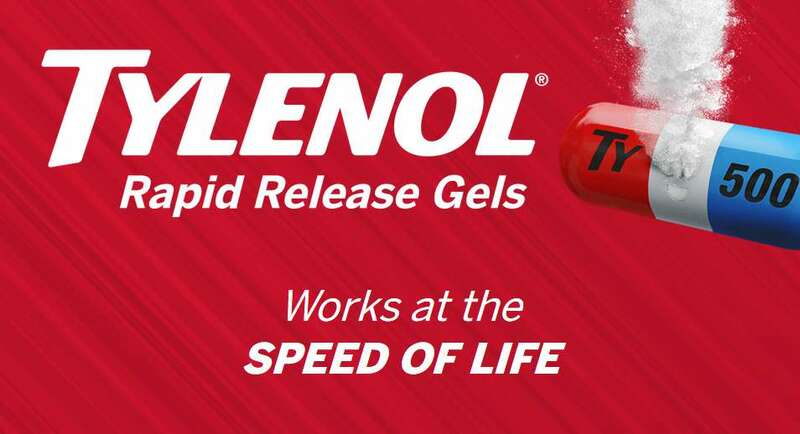 Find out more at TYLENOL®.